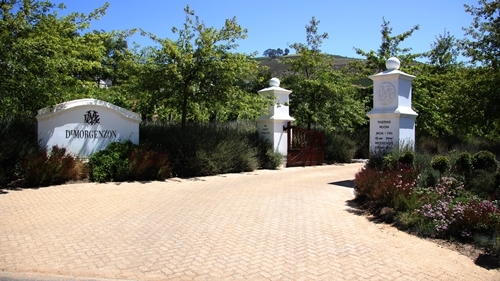 The De Morgenzon Estate is positioned in the Stellenbosch Valley, on the southern and eastern slopes of Ribbokkop, at elevations ranging between 200 and 400 metres above sea-level. 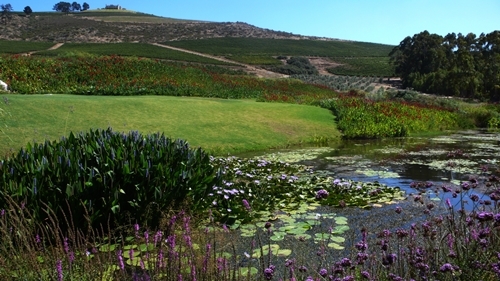 They are nestled behind Mulderbosch (owned by Charles Banks) and De Toren, only a short drive from Cape Town. Making their flagship wine of old bush vines of Chenin Blanc, is an alternative to the trend and spread of Sauvignon Blanc and Chardonnay, which is now found all over the world. They have like Ken Forrester (and his FMC) excelled with it and produce one of the finest SA examples of the grape variety. The wines across holds excellent quality and value. Maestro: A Merlot based blend (inc. 5 Bordeaux varieties), and a White Rhône inspired blend with 4 varieties. 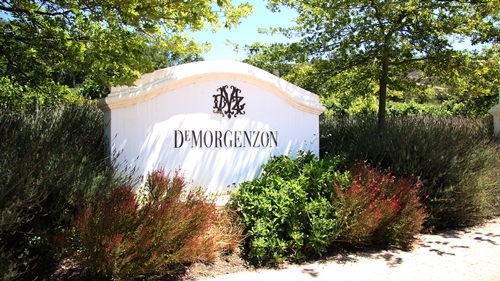 De Morgenzon: Icon wine of their old bush vines of Chenin Blanc. In my opinion they are among the overlooked South African estates. 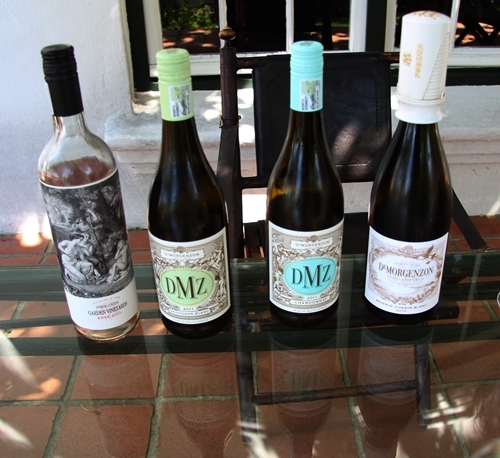 I first discovered their wines at a dinner in Camps Bay (one of Cape Town’s beach areas). The wines are dense, rich and flavourful. Brilliant when compared to their prices, from the bottom to the Reserve Chenin Blanc. The whites are the main attraction here, however one should not cheat themselves from exploring the Rhône inspired blends (here pictured). 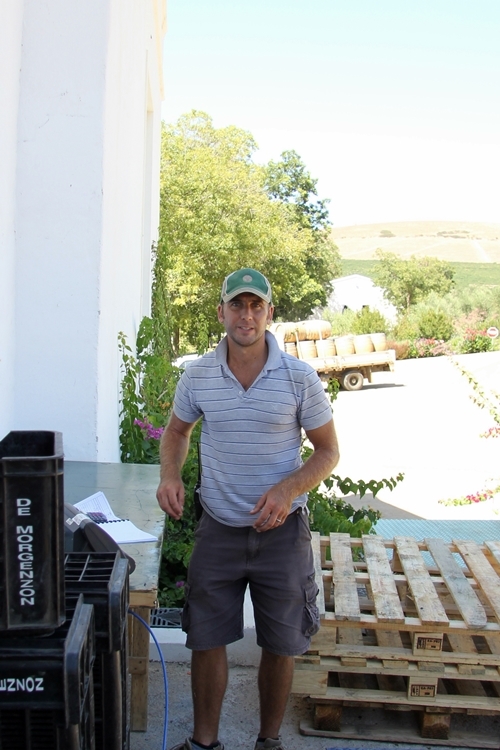 Adi Badenhorst (their previous winemaker) has created some of the most sought-after wines on the Rhône varieties from SA. 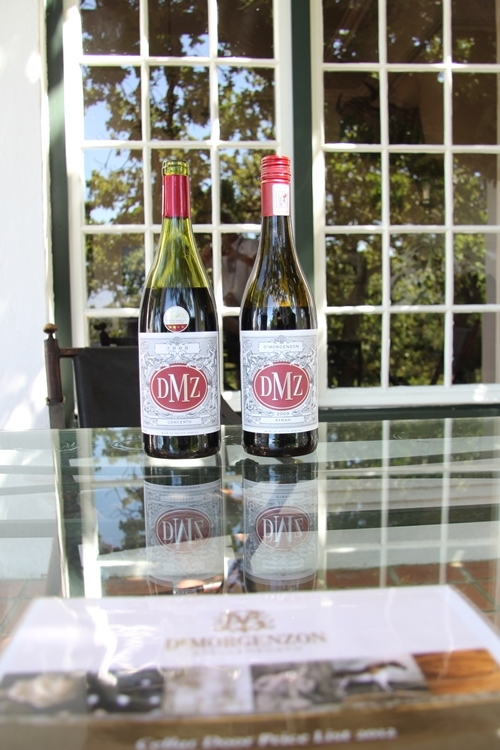 The wines from De Morgenzon differ as they are more classically styled. 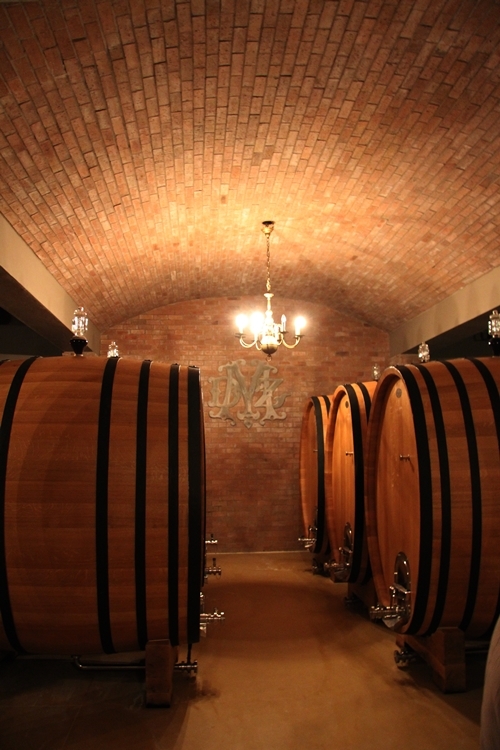 Their winemaker Carl van der Merwe continues their path towards perfection. The Appelbaum couple bought the land in 2003, and have developed it extensively. 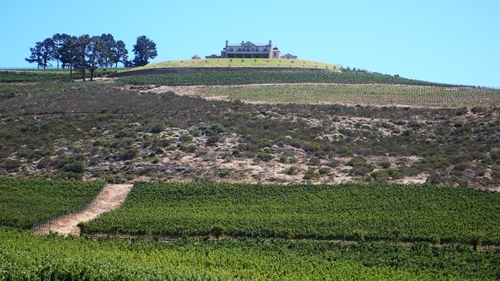 The estate is named De Morgenzon (the morning sun), as it is the first part of the Stellenboschkloof valley to see the sun because of its altitude and outlook. 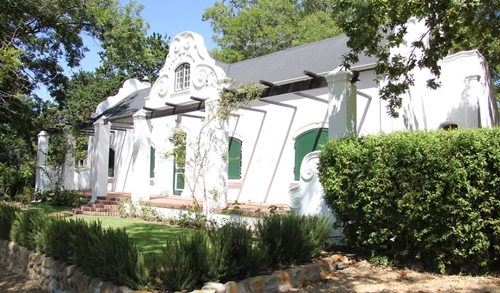 The estate and its buildings are among the more original and its Cape Dutch Styled architecture very unique. The gables are beautifully decorated. Here two elephants adorn the gable above the cellar door. 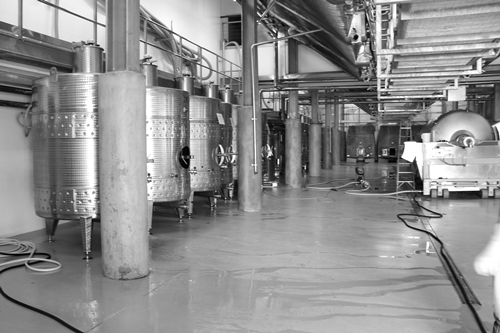 A look inside the cellar door. Double doors connects the Cellar Door to their terrace and gardens. 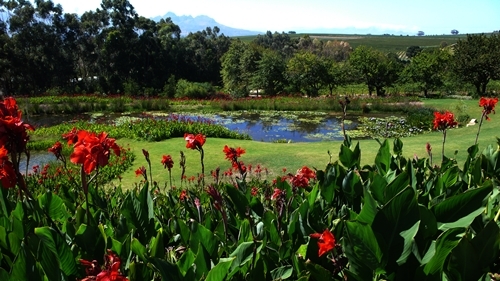 The stunning gardens constitute for more than 36 of the 91 hectare Estate. Their strong interest for flowers has even influenced the crops, planted in between the vines. The pond and gardens have not only been established for their beauty, they also attract fauna, and participate in their initiatives towards creating biodiversity, flora restoration, and a conservation area. The owners Wendy and Hylton Appelbaum have their private residence at the top of the estate. It enjoys spectacular views over the surrounding mountains Helderberg and Simonsberg, as well as views of Cape Town, Table Mountain, and even the Cape Point. 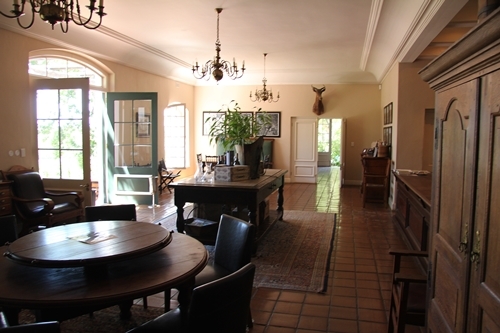 The estate is very much formed by the eccentric owners. 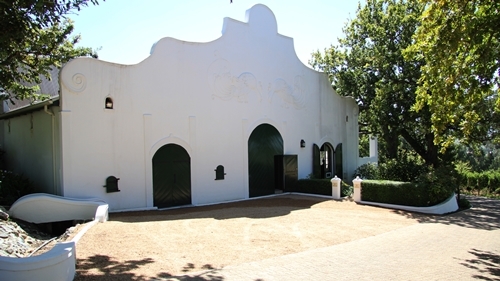 And their passions and beliefs permeates De Morgenzon; from the sustainable winegrowing initiatives to the Baroque music, which is played 24 hours a day at the estate (even in the vineyards where from this picture is captured). The Baroque music is played not only for their love of the music, but also because they believe the vibration stimulate the growth of the vine roots. 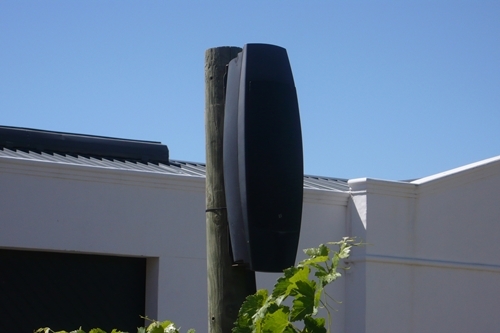 Hylton Appelbaum founded Classic FM South Africa in 1997, and I am convinced it also helps in distinguishing the winery. Here another example of their original Cape Dutch styled gables. 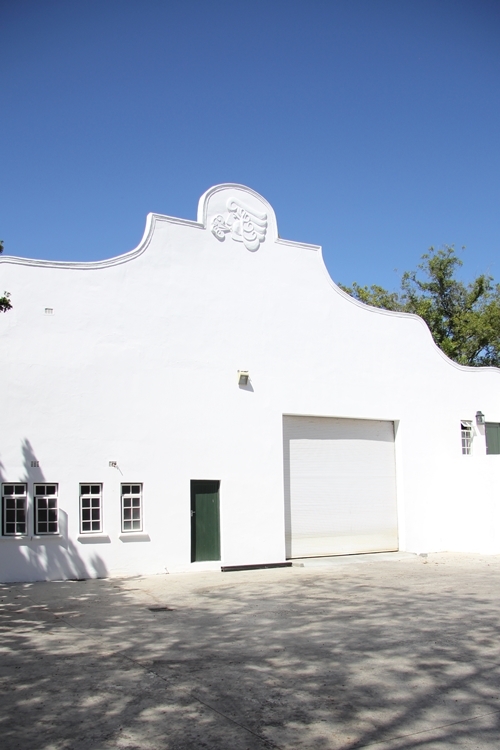 Carl first met the Appelbaum couple when they were bidding on another estate in Stellenbosch, where he worked previously. He has achieved extraordinary results over the few years he has spent here, and he is moreover working towards gaining a Master of Wine (MW) from the London institute. 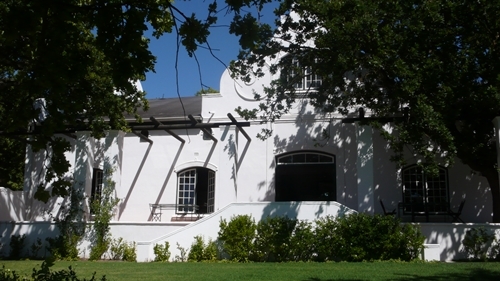 He follows Adi Badenhorst and Teddy Hall, which shows that there has been a strong focus, since the beginning, on developing truly unique wines. Busy times at their cuverie, due to harvesting Merlot. Here their optical grape picker is in action. 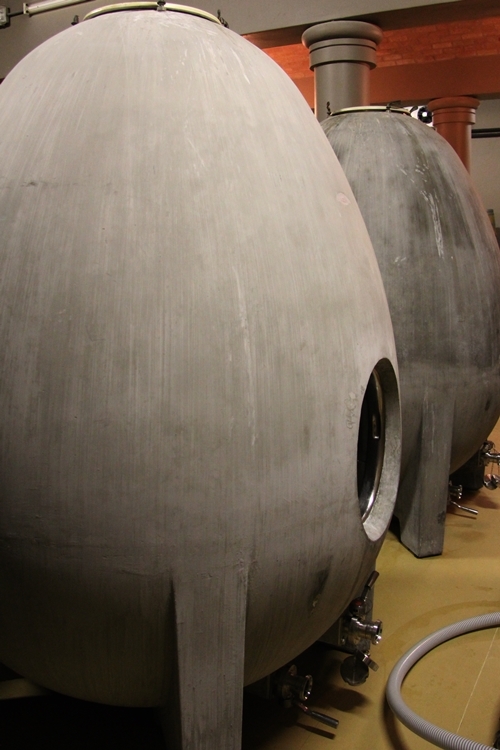 They use both tanks made of steel and of concrete, as the picture reveals. 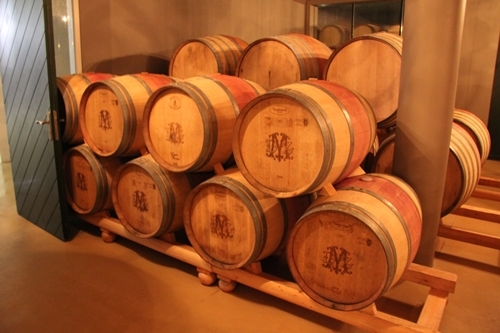 Due to following the principle of Old-World winemaking using New-world fruit, they naturally use solely barrels made of French Oak. 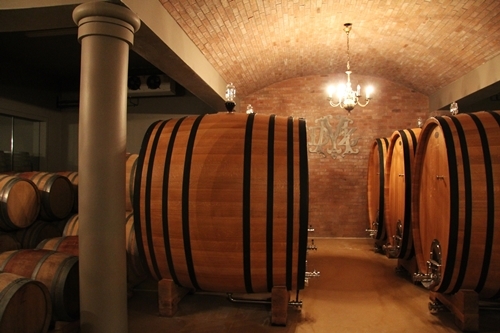 Here some of the stunning 3000 litre large oak Foudrés in which their Syrah spends approximately 6 months time in. Their Foudrés are from the Bourgogne Cooperage “Tonnellerie Rousseau”. The foudrés are quite popular in Rhône, hence used to age their Syrah. The white blend in their “Maestro” range of Chenin Blanc, Roussanne, Chardonnay, and Viognier, partly gains its richness and creaminess, because of being fermented and matured on concrete eggs. The terrace where tastings can be enjoyed during Spring, Summer and Fall. The terroir was studied carefully, before deciding where and what to plant, as well as the position of the vine rows in regards to the soil-types, drainage, and sun/wind exposure. 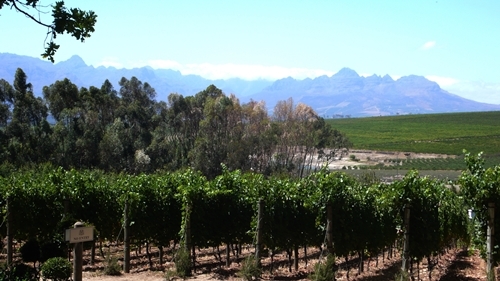 The vineyard captured is positioned in front of their terrace with views towards the Hottentots Holland Mountains; Helderberg and Simonsberg. 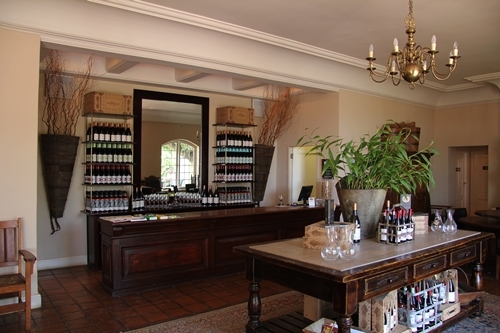 Among the reasons for visiting the winecountry in Stellenbosch.